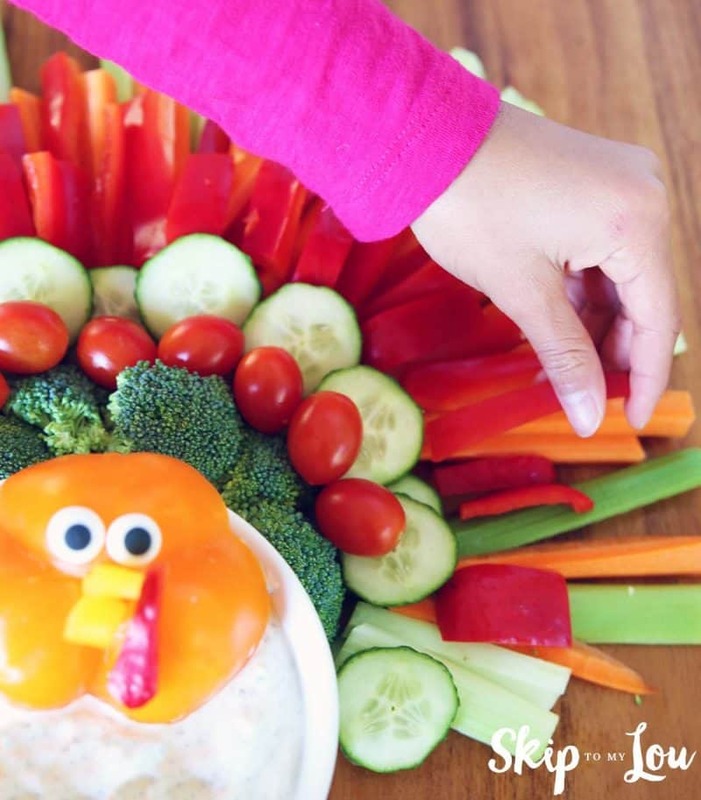 You will want to eat more veggies with this Turkey Veggie Tray! There is also a Christmas Tree Veggie Tray idea! Put together the veggies and serve with the best homemade ranch dip recipe. It is the perfect way to eat your veggies! 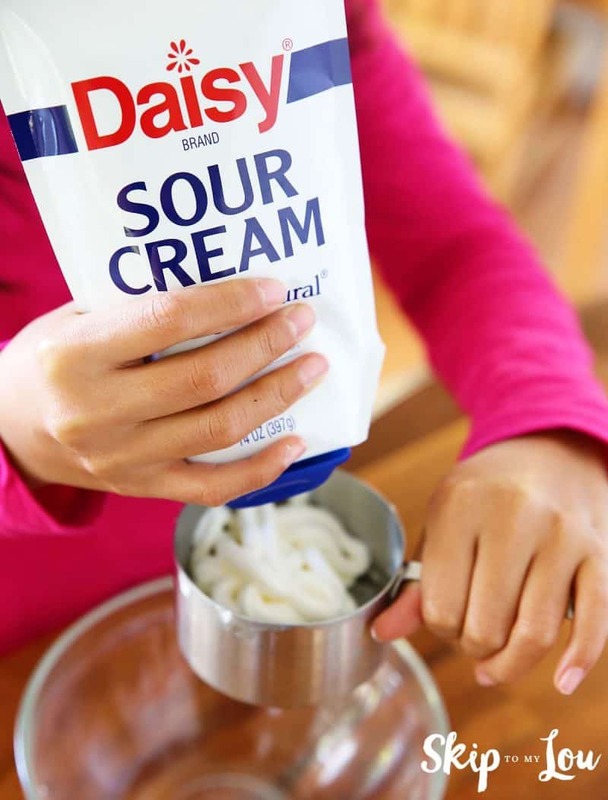 I am always on the lookout for things that make cooking with kids easier. My daughter Bella loves sour cream! 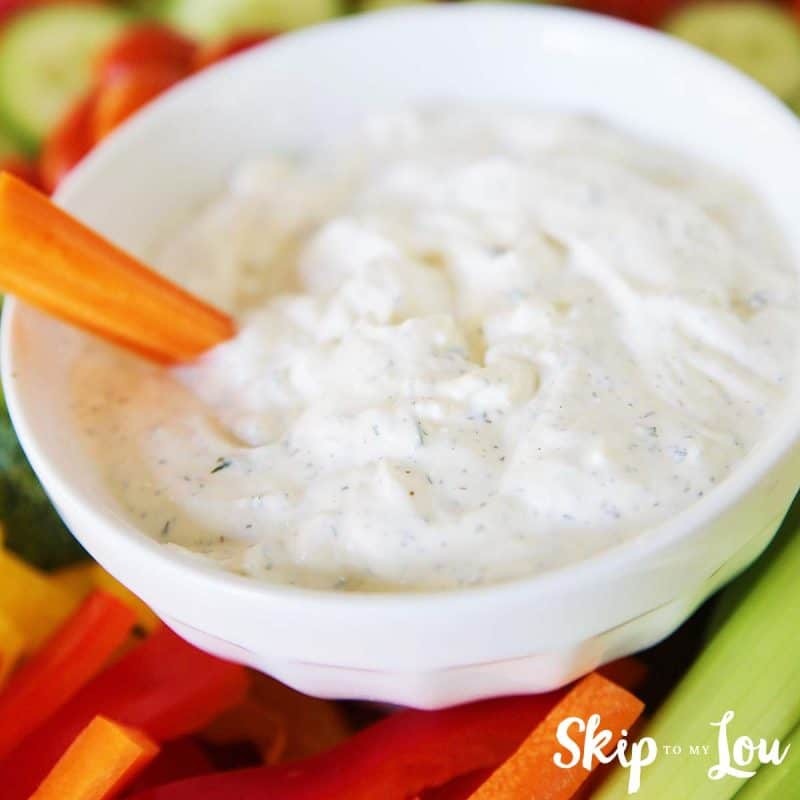 Add a few spices and you have ranch veggie dip… that you know the ingredients! The best part is the recipe is so easy you can get your kids to make it. I have found that the more I involve my kids in helping to make their food, the more enthusiastic they are about eating new foods and being adventurous eaters. 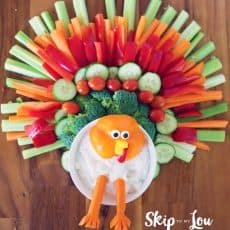 If getting your child to eat more veggies is one of your goals, these holiday veggie tray ideas are a fun way to present veggies and make them irresistible. I also have a killer Ranch Salad Dressing. 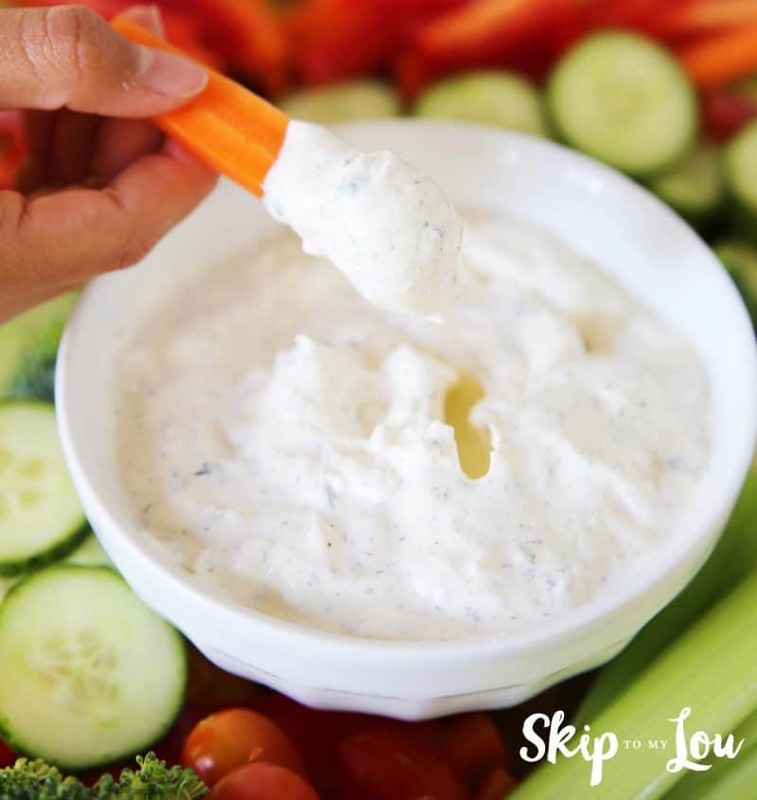 The BEST Homemade Ranch Dip For Veggie Trays! Just a few ingredients to make a super yummy homemade veggie dip for a veggie tray! Serve with veggies or on baked potatoes! Measure out all the ingredients. Mix all together and enjoy. This dip is best when made the day before. If serving immediately I sometimes pump up the flavor by adding an extra 1/4 teaspoon of all the ingredients except the salt. An extra pinch of salt is enough. Another way to get kids to eat more healthy food is to make them fun! These clever veggie tray ideas are a great way to serve up vegetables and homemade ranch dip! No need to load up on holiday sweets! To make the turkey head slice off the bottom of a bell pepper. Cut a hole in the pepper and slip two strips of yellow bell pepper through the hole. Cut a triangle piece of red pepper for the waddle. Two royal icing eyes finish off the turkey face. Make legs out of long carrots, cutting tiny triangles out at the bottom of the carrot. Place the “turkey legs” into the dip. 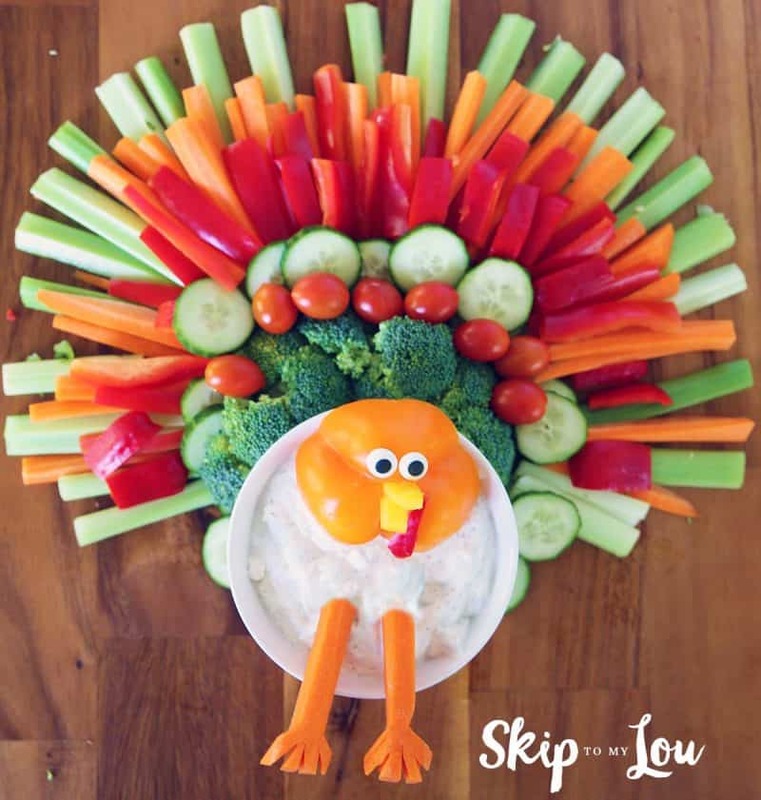 Arrange a variety of vegetables around the bowl of dip to make the body and feathers of the turkey. We like red yellow and green peppers, cucumbers, cherry tomatoes, green and black olives, baby carrots, sugar snap peas, and celery. You know the normal items you find on vegetable trays. 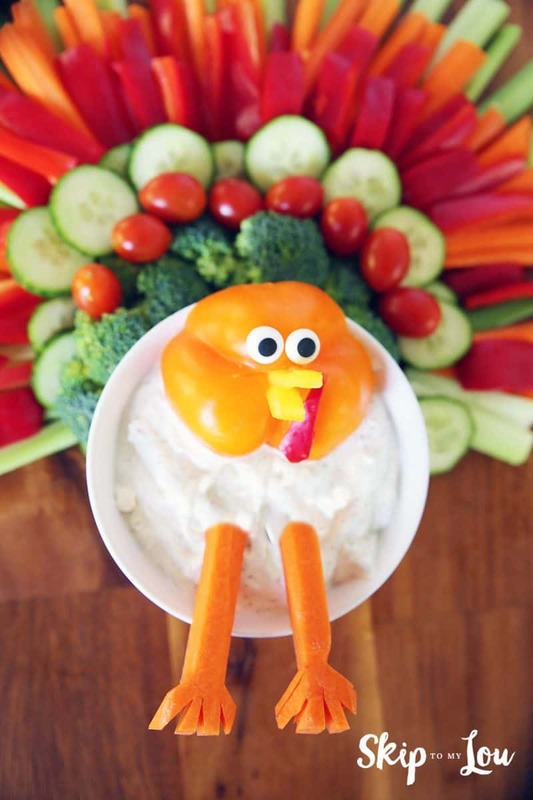 Isn’t that the cutest turkey veggie platter!?! It is almost too cute to eat. Don’t worry it will get gobbled up! 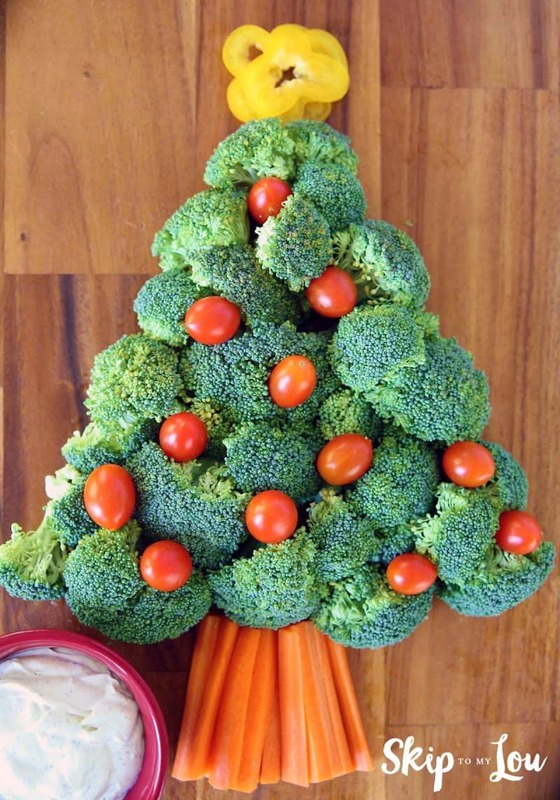 Broccoli and cherry tomatoes make the perfect Christmas tree to serve along homemade ranch dip. Stacked slices of a yellow bell pepper cut from the bottom of a yellow bell pepper make a star for the tree while carrot slices make the perfect tree trunk. So many fun ways to have a delicious holiday! What’s your favorite holiday recipe? Share it with me in the comments! 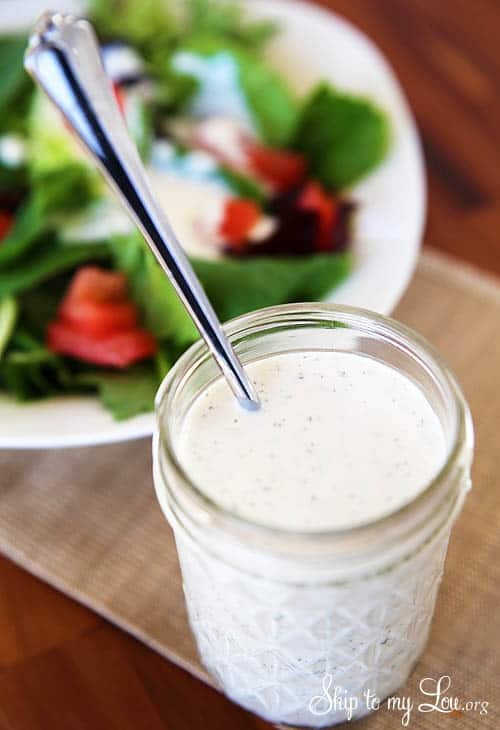 Here my homemade ranch salad dressing recipe I was telling you about.